Barring a significant selection shock, Campbelltown teenager Nicholas Shipley will create history on Friday. A member of Greater Western Sydney’s football academy, the 18-year-old is set to become the first homegrown talent to earn a spot on the Giants’ senior list. While the profile and hype associated with being the No 1 pick will fall to someone other than the Sydneysider, Shipley will nonetheless carry an important distinction as he begins his AFL career. 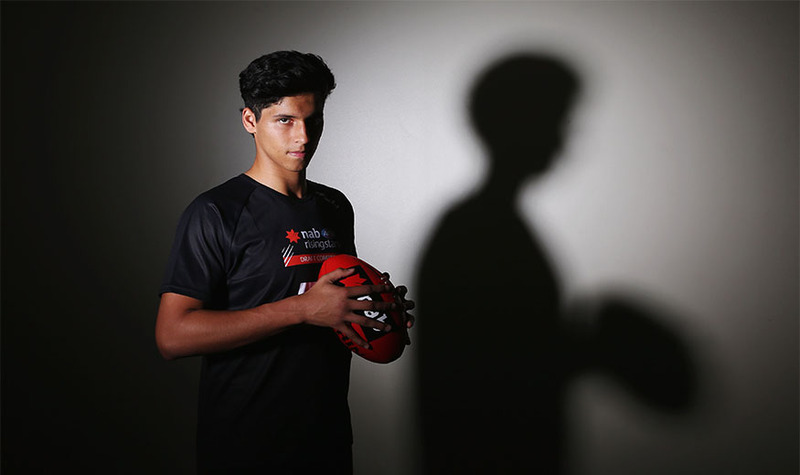 In an interview with The Weekend Australian at the AFL draft combine in Melbourne last month, Shipley said he understood the significance of what his potential drafting would mean for the expansion club. “I have thought about it a little bit,” he said. “It would be good to be the first western Sydney kid to go to the Giants, because then it gives the kids of my area hope that they can play footy too and make it if they want to pursue their dream. Although his selection as a Giant in Friday’s draft is not certain, the likelihood is strong that he will be selected by the club that lured him from soccer a couple of years ago. GWS officials have been impressed by Shipley’s talent, commitment and development as a member of their academy. Barring another club opting to select him with an early draft pick, which would force GWS to match that bid to retain Shipley, he will officially join a club he already feels a part of. Shipley has come a long way from the 12-year-old who attended five introductory training sessions with the Giants. But so, too, has the club. He recalls only a handful of kids attending when he first started and it was not long before he returned to soccer. But the graduate of Mount Carmel Catholic College has been staggered by the growth since being lured back to the Giants academy three years ago. “This year, because it is my final year, I saw the under-13s and 14s doing training and there were so many kids, in the hundreds, so many who have chosen footy in that area of Western Sydney,” he said. While most of those drafted on Friday will have spent some time with an AFL club, those developed in academies get a greater education in the professionalism needed to become a footballer. Shipley, for example, has spent his holidays training with his idols over the past three years. “Every time I didn’t have school on, I was at Giants training. I trained with them before games, on Friday sessions, before NEAFL games,” he said. During a year in which he completed his HSC, Shipley was receiving tutoring from some of the best AFL midfielders. “Because I have been training with the Giants, I definitely look up to guys like Tom Scully, Dylan Shiel and Josh Kelly,” he said. “I definitely don’t have Scully’s motor. His is incredible. It is unreal. He is a freak. But I definitely look forward to trying to copy those guys, to look up to them. It is clear Shipley, whose mother Jessica hails from Peru, has benefited from training alongside some of the elite midfielders in the competition. He was a member of the Allies side who upset eventual champions Vic Metro during the national under-18 carnival. In an All-Star match played as a precursor to the Richmond’s grand final triumph over Adelaide, Shipley performed soundly gathering 19 touches. At the AFL Combine at Etihad Stadium, Shipley, who stands 189cm and weighs 90kg, clocked the sharp time of 2.97sec for the 20-metre sprint, finished inside the top 12 per cent for the 2km time trial and also the punishing “yoyo” test, which measures the ability of contenders to repeat sprints. He also scored 26 from 30 in the kicking test and credits his performance with improving his professionalism when training. “Professionalism-wise, I was taking training more seriously, working a lot harder, valuing everything I did, like kicking, by trying to hit the target every time, stuff like that,” he said.